All that's missing are your vocals! 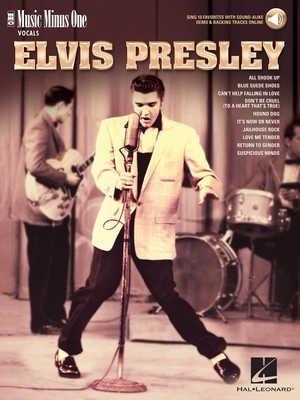 10 timeless classics from “The King” are presented in this book which includes the lyrics, vocal lines and piano accompaniments for each song, plus online audio tracks containing demos for listening, and separate backing tracks so you can sing along. Songs include: All Shook Up • Blue Suede Shoes • Can't Help Falling in Love • Don't Be Cruel (To a Heart That's True) • Hound Dog • It's Now or Never • Jailhouse Rock • Love Me Tender • Return to Sender • Suspicious Minds.